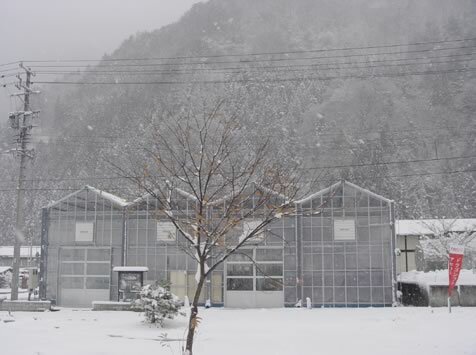 This snow covered greenhouse encloses a dragon fruit farm located in the northern Japanese Alps, Takayama Okuhidaonsengo Tochio in the prefecture of Gifu. 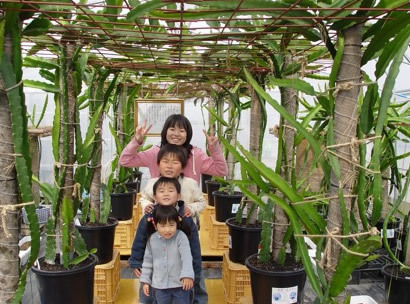 The farm is owned and operated by Shoji and his colleague, and they also have greenhouses in Minokamo where they grow dragon fruit and Barbados Cherry on the south end of Gifu. The greenhouses harvest the heat of natural hot springs during winter season. When the outside temperature is 5°F, it is 55°F inside. Since the greenhouses do not use natural gas for heat, zero carbon dioxide (CO2) is produced making it an eco-friendly farm. 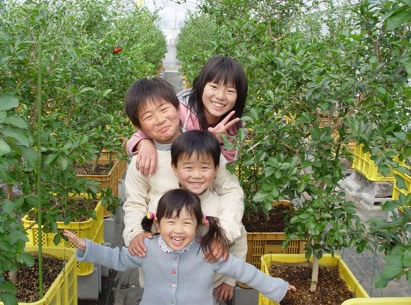 We first began shipping plant material to Shoji in 2004, and his farm started producing fruit in just over two years. Now FRUSIC is evidence that tropical fruits can be grown anywhere with enough ambition. 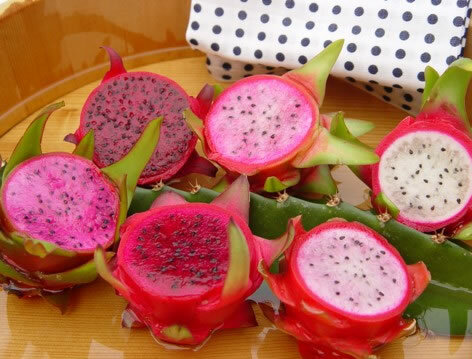 Probably most important of all is that their fruit is delicious and even sweeter than those grown in tropical climates. Since their greenhouse in Okuhida is approximately 3,000 feet above sea level the sun is very intense, and the difference between daytime and nighttime temperatures makes the fruit even sweeter. 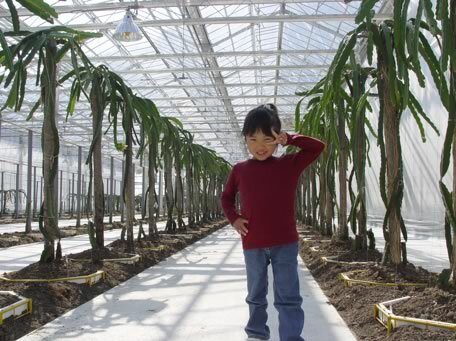 We want to make children feel dream for agriculture. And we never forget trying. If you have an interesting story about growing our products, then please give us a call or send us an email. We are particularly interested in stories from homeowners with tropical fruit tree collections that survived Florida’s recent record lows.